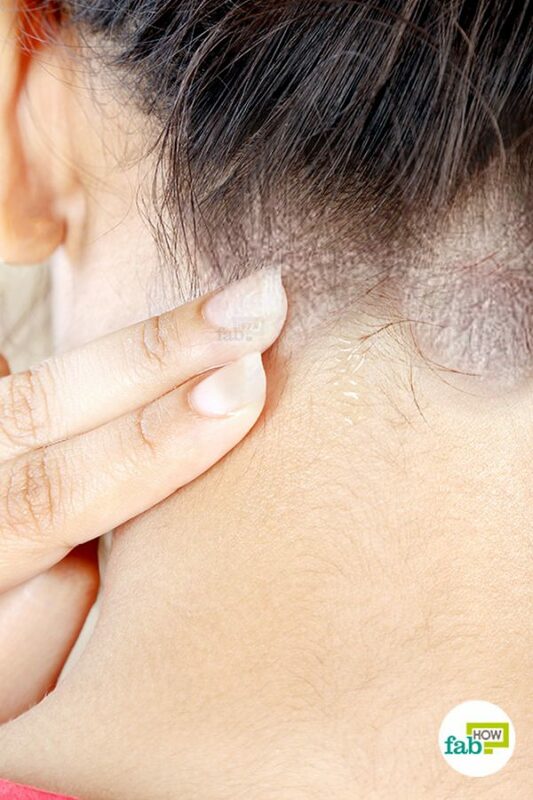 If you suffer from periodic bouts of dandruff on your scalp and skin, followed by redness, itching, and the formation of yellow scales on your scalp, eyelids, nose and cheek area, then chances are that you are suffering from seborrheic dermatitis. Seborrheic dermatitis is a common skin condition that usually affects the scalp and face, and in some cases even the chest area. It is usually characterized by redness, irritation, and inflammation accompanied by white flakes or scaly patches on the skin. 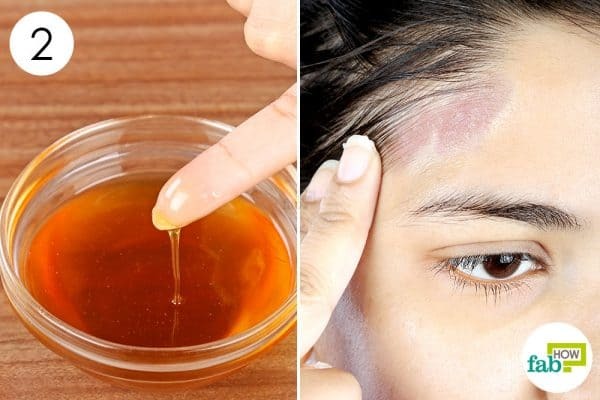 You can also develop this skin infection on your hairline and forehead, on the skin behind your ears, and even on the skin in and around the ear canal. Depending on several factors, this condition can spread to other areas of the body including the upper chest and back, armpits, buttocks, underbust, and the genital areas. Before we learn how to get rid of seborrheic dermatitis, let us take a close look at its causes and symptoms. Patches of oily or greasy skin on your face, arms, and chest covered with white or yellow scales or crust. Infants (3 months old or younger) can develop a cradle cap on their heads, i.e., crusty yellow or brown scales covering their scalp. Babies can also develop this condition on their buttocks, where it is often mistaken for a diaper rash. Control risk factors such as obesity and diet. Take measures to control your oily skin and get rid of acne. Use anti-dandruff shampoo once a week to keep your scalp clear. Take care to not use harsh skin care or cosmetic products, go for organic and natural DIY products including sunscreen, after-sun spray, face wash or cleansers, shampoos, and even makeup products. If you have been experiencing any of the symptoms described above at regular intervals, book an appointment with a dermatologist at the earliest. Your skin doctor will be able to diagnose your condition on the basis of the appearance and location of the flaky or scaly crusts and lesions. The doctor may also send a few skin scrapings for biopsy. If left unchecked, this condition can lead to severe complications such as secondary bacterial or fungal infections, and pus-filled red boils that can cause severe pain. Having scaly patches on the skin, especially on visible areas like the face can lead to psychological issues such as low self-esteem, feelings of embarrassment when going out in public, and depression. 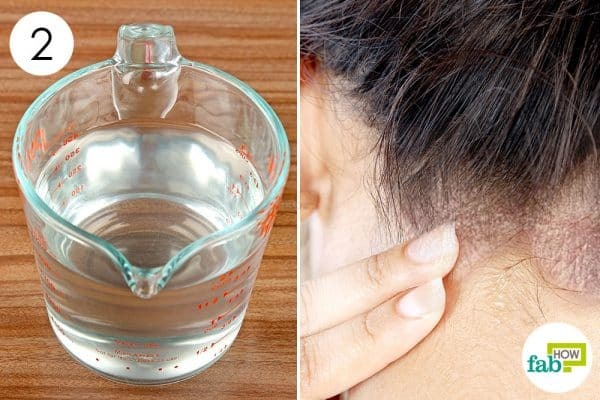 You can use any of the following tried-and-tested home remedies to get rid of seborrheic dermatitis successfully. When it comes to dealing with seborrheic dermatitis, choosing the right diet can make a world of difference. The formula is simple—eat the right foods and eliminate the wrong ones from your diet. Keep a journal and record what foods you crave everyday and what you ate on the day of a flare-up. Chances are that something you love to eat may be causing an allergic or adverse reaction in your body. Track your eating habits and eliminate any items that appear simultaneously in your journal with seborrheic dermatitis symptoms, for at least 4 weeks. If you do not find relief, you may have to eliminate more items from your diet. 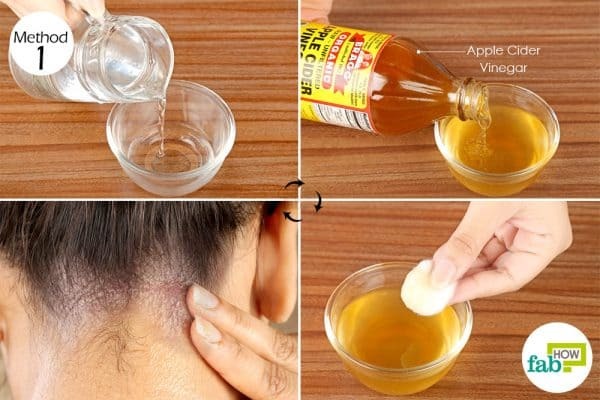 Raw unfiltered apple cider vinegar acts as a strong antimicrobial agent and can be used most successfully to get rid of seborrheic dermatitis. The vinegar is acidic in nature and helps eliminate the infection-causing yeast from the affected skin areas by raising the pH level of the skin. Taken orally, it helps to restore your gut health, which, in turn, bolsters up your immune system to fight this disease. 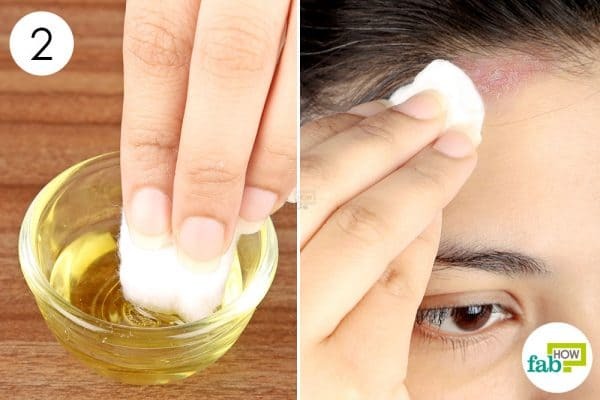 For best results, you should go for both topical application and internal consumption to treat this condition both superficially and from within. Note: Do a patch test before application, as the vinegar may irritate sensitive skin. Take a ½ cup of water in a bowl. Add 2 tablespoons of raw unfiltered apple cider vinegar. 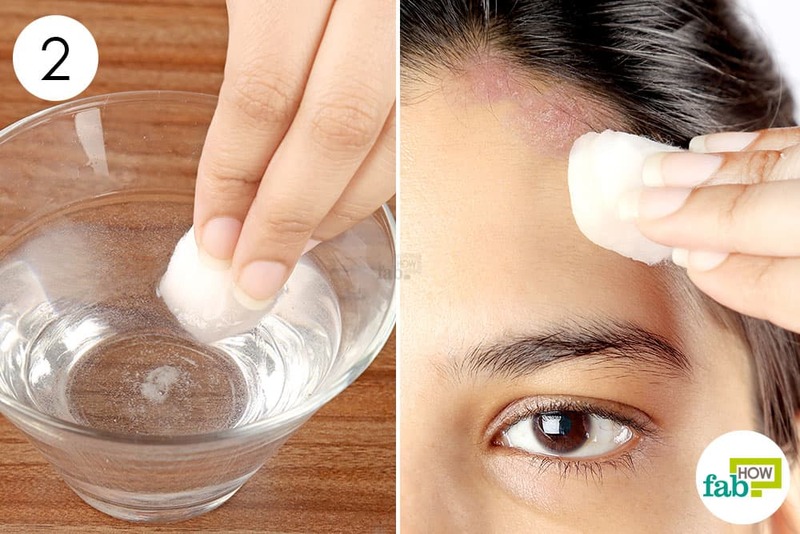 Soak a cotton ball in the solution and apply on the scaly or inflamed areas. You will experience a slight tingling or stinging sensation. Leave it on for 5 to 10 minutes and then rinse off with warm water. 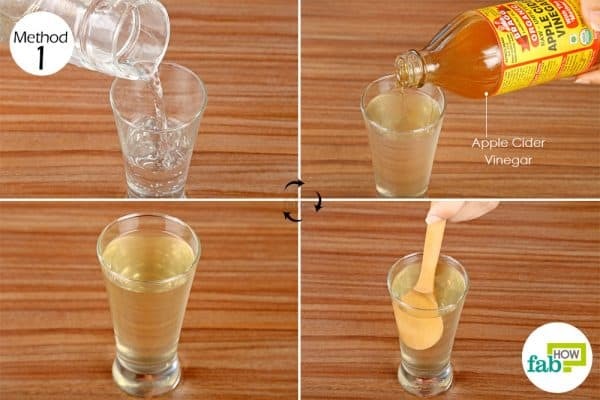 Add raw unfiltered apple cider vinegar; you can start with 1 teaspoon for a week and then gradually increase it to 2 teaspoons and finally 1 tablespoon. Drink this concoction the first thing in the morning on a daily basis. Continue with both treatments for at least 1 week to get rid of seborrheic dermatitis. 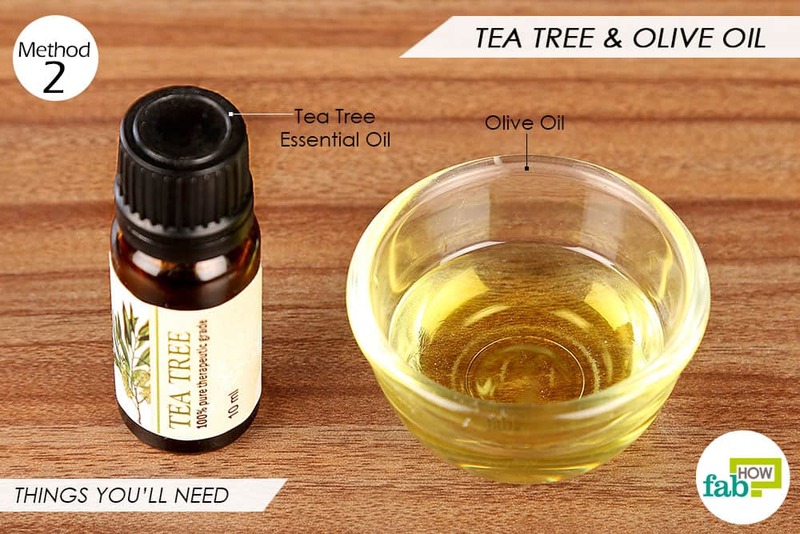 Tea tree essential oil has powerful anti-fungal and anti-bacterial properties that help eliminate the yeast-causing redness, inflammation, and the formation of scales or crusts on the skin. Using a shampoo with 5% tea tree oil concentration on a regular basis will help keep your scalp clear; for seborrheic dermatitis on the face, you can use a tea tree-based cream or lotion. A simple way is to simply add a few drops (3 to 5) of tea tree essential oil into your cream or lotion bottle and mix well to get a thorough blend. Using these on a daily basis will ensure that this skin condition and its associated complications stay away. Take 1 tablespoon of extra virgin olive oil in a small bowl. Add 6 drops of tea tree essential oil and mix well. Dip a sterile cotton ball into this oil blend. Wipe it off with a wash cloth dipped in warm water. Do this once daily for at least 7 to 10 days to get rid of this pesky skin condition and prevent its recurrence. You can also add 10 to 15 drops of tea tree essential oil into your shampoo bottle to get rid of scalp dermatitis or dandruff. 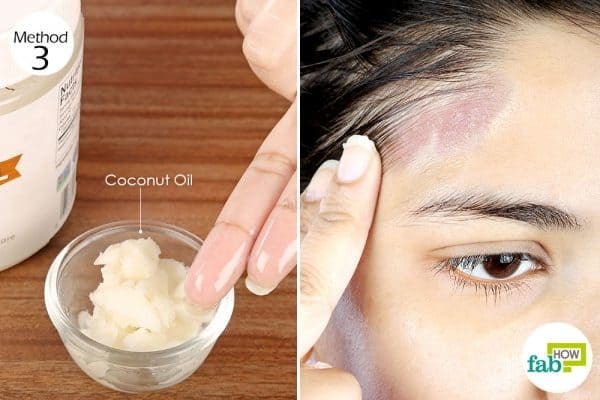 Organic coconut oil has potent antimicrobial and moisturizing properties that help alleviate the symptoms of seborrheic dermatitis by killing off the disease-causing fungi. Regular application of pure coconut oil helps reduce redness and inflammation, while simultaneously hydrating the dry and scaly skin caused by this condition. Take some virgin coconut oil in a bowl. Make sure that your fingers are clean; now scoop up some coconut oil and gently massage it into the areas affected by dermatitis. You can do this at night and wash your face in the morning. Regularly apply coconut oil for 1 to 2 weeks to clear dermatitis. Raw honey has long been known for its anti-bacterial, anti-fungal, moisturizing and skin healing properties. This remedy will help you both treat and heal your skin simultaneously to get rid of seborrheic dermatitis. Take 2 tablespoons of raw honey in a bowl. Mix thoroughly for proper dilution. Gently massage the diluted honey solution into your scalp using your fingers. Let it stay for 2 to 3 hours; shampoo and condition with a tea tree oil or sulfur-based shampoo. 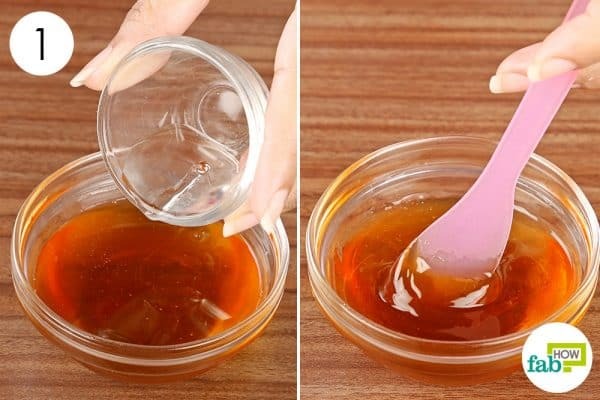 Apply this diluted honey solution on your scalp on a weekly basis. You will notice positive results within 1 week or 2, but prolonged use will prevent recurrence of the condition. Do this regularly for at least 4 to 6 months to eliminate seborrheic dermatitis completely. Dead Sea salt contains less sodium chloride as compared to regular sea salt, along with minerals such as potassium, calcium, sulfur, zinc, and magnesium that help nourish and heal the afflicted skin. 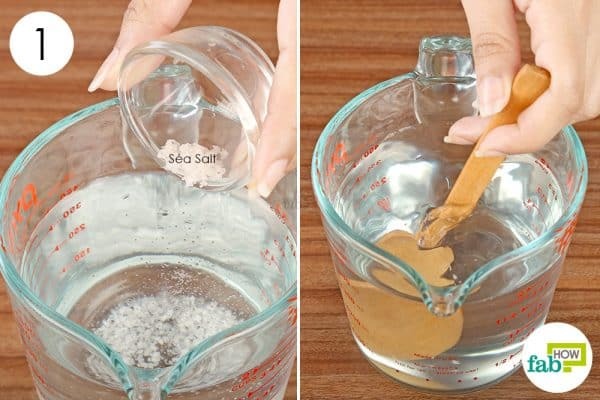 Additionally, the application of this salt solution also softens hardened yellow scales or crusts on the affected skin patches for easy and painless removal. Take 2 cups of water in a beaker. Add 1 teaspoon of Dead Sea salt. Apply directly on the skin to get rid of seborrheic dermatitis. This salt solution will sting in case of a flare-up or damage on the protective layer of your skin; just bear the pain for a few minutes. Leave it on for 5 to 10 minutes and then rinse off with cold water. Do this on a daily basis for at least 2 weeks to get rid of seborrheic dermatitis. You can also use the alkalinity of baking soda to fight seborrheic dermatitis as the responsible fungi will not be able to survive in an alkaline environment. Take ½ teaspoon of baking soda in a mixing bowl. Mix well to get a foamy solution. Dip a sterile cotton ball in a bowl to let it soak up the prepared solution. Apply it on the affected skin patches. Leave it on for 5 to 10 minutes and then wash it off with cool water. You can rinse this up with an apple cider vinegar to restore the acidity of the skin. 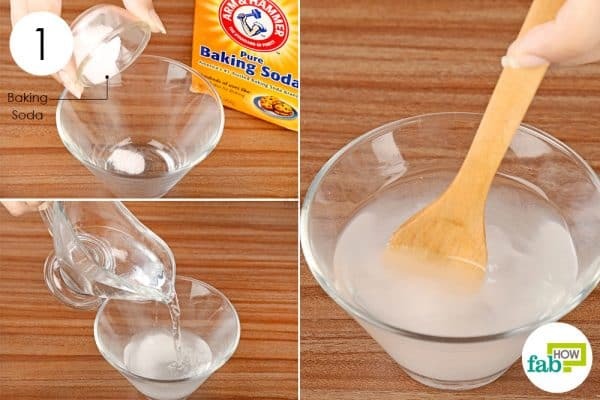 Apply this baking soda solution every alternate day for up to 2 weeks to successfully treat this condition. If you suffer from frequent bouts of seborrheic dermatitis or dandruff on your scalp, shampooing regularly with a sulfur-based shampoo can be extremely helpful. Use a sulfur-based shampoo once or twice a week to get rid of seborrheic dermatitis from your scalp. 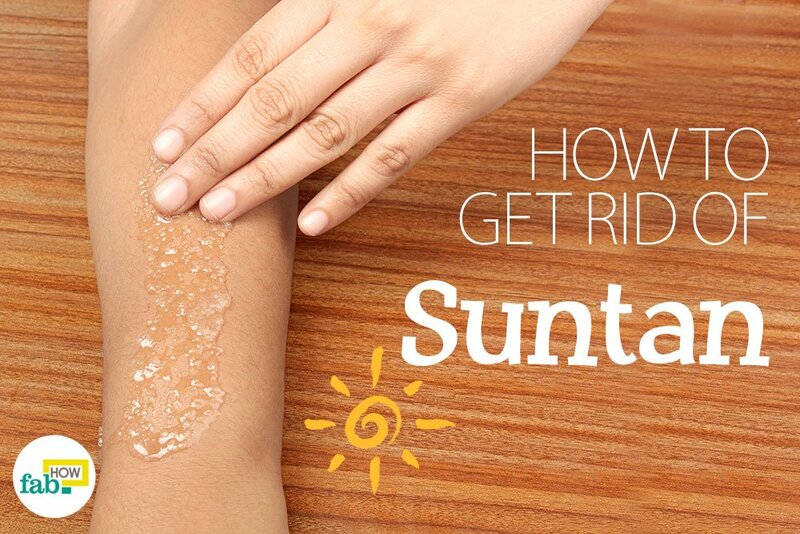 You can also regularly wash your skin with 10% sulfur soap to keep this condition in check and prevent flare-ups. You can apply aloe vera gel to control and reduce the redness, itching, and scaling caused by seborrheic dermatitis. Taking fish oil supplements containing omega-3 fatty acids will also help treat this type of dermatitis, take 2 capsules daily, one in the morning and then again at night to heal your skin. For babies; wash their head with baby shampoo; as the scales soften, gently brush them away using a soft baby brush. Sunlight is also believed to be beneficial in treating seborrheic dermatitis as it helps alleviate the symptoms. Just go to any nearby park in the morning and soak up all the benefits of the early morning sunlight. Thank you for the article! The Selsun Blue shampoo shown in the pic is a zinc shampoo. Head and Shoulders Clinical shampoo contains selenium sulfide. Alternating between both of these shampoos every few days helps my condition of seborrheic dermatitis. On “normal” shampoo days, I use a gentle sulphate free shampoo with no conditioner on the scalp to avoid product buildup. I also suffer from eczema, and I completely agree that diet is a big factor. I have recently noticed improvement with both conditions when I reduced fructose and high fructose corn syrup. Diet really plays an important role when it comes to skin problems. Always do look out for allergens and cut them off from your diet. This shall definitely prevent future flare-ups. Seborrheic dermatitis is caused by malassezia, yes. However, you should NOT use Olive Oil or Coconut oil as a carrier oil for this condition. Malassezia feeds on long-chain fatty acids, which are present in both of these oils. 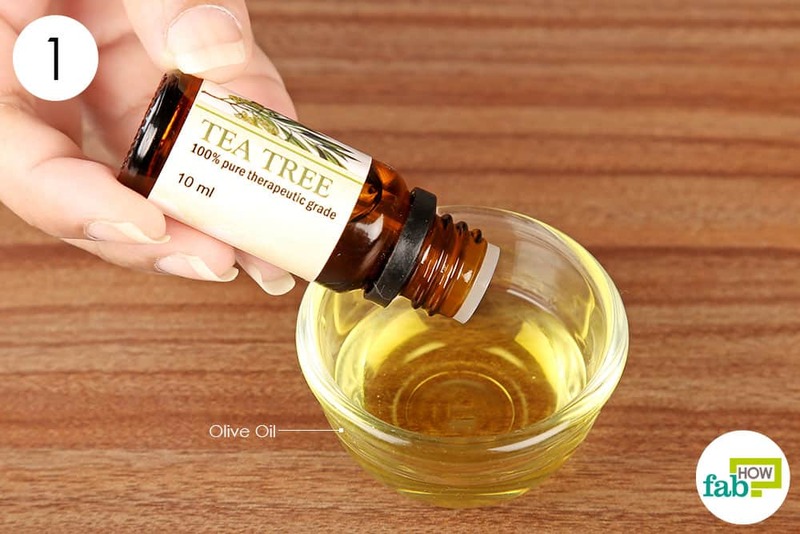 Tea tree oil is absolutely beneficial, but will not do any good because you’re using a carrier oil that feeds the problem! The only oils I’ve found that DO NOT include long-chain fatty acids are – squalAne (not squalEne) oil, and MCT oil. You might get a way with Jojoba oil, or FRACTIONATED coconut oil, but that’s even stretching it. The apple cider vinegar works on me really well within a day or two (don’t get it in your eye; seems obvious, but had to point it out – damn it stings!) . There might be splotchy redness left on the skin immediately after the treatment. Hydro-cortisone works very well to reduce this. Thank you for this article, it has helped so much. my head was fins until i started using head and shoulder shampoo. Once I stopped using it I got seborrheic dermatitis and have been struggling with it since. Never start. Never use it, even once.